One of the most famous boxing axioms is “as the heavyweight division goes, so goes the sport of boxing.” However that statement never really made much sense to me considering boxing has always had popular heavyweight champions. Sure there were times when we did not appreciate what we had (I still remember most boxing publications in the 90s complaining of a “stale” heavyweight division that consisted of Tyson, Holyfield, Bowe, Foreman, Holmes, Lewis, Mercer, Moorer and Morrison) however every year we were still treated to a high profile heavyweight bout. The electric atmosphere that surrounds a heavyweight title fight between two well-known and respected fighters is something that no other sport can match. As I stated before it used to be an annual occurrence but those days are no more. It has been a long time since a heavyweight bout excited the American public. The last few Klitschko defenses have been dumped to the relative obscurity of espn3. I understand that the Klitschko’s still sell out arenas in Germany and maintain a high level of popularity in Europe however I cannot think of any other period in boxing history in which a dominant heavyweight champion has been disregarded by the American sports fan. It comes down to one thing: excitement. Heavyweights are only exciting when someone is getting knocked out. That’s why Mike Tyson was able to dominate the boxing media within 18 months of turning pro. He was knocking guys out. Now don’t get me wrong here, the Klitschkos knock fighters out. However it’s a different kind of knockout. It’s a more cautious knockout. None the less successful however the Klitschko brand of knockout is a bit dull and tasteless. It’s like drinking near beer. Sure it looks, smells and tastes like the real thing but it just doesn’t give you that good feeling. So we look to the future and right now the future actually looks to be brightening up. Hard hitting American prospects, European bangers and even some big punchers from other parts of the world are all on the horizon. Sure there are some solid prospects out there whom are smooth boxers that add up the points to a masterful decision but someone else will write about them. I’m here to profile the next generation of potential heavyweight excitement makers. The only thing keeping Boytsov from assaulting the top 10 in the division are fragile hands. Boytsov is not really a one shot knockout artist, he is a volume power puncher, a guy that puts his head down and throws power shot after shot. While this style is exciting and could lead him to international superstardom it doesn’t do his hands any good. The lack of size and the hand issue could be problems in the future however his style and youth are major pluses. Pulev’s record with only six knockouts may not look like that of a power puncher but trust me, The Cobra has bite. Pulev’s rather mediocre knockout ratio can be attributed to two things, one is a high level of competition in which he has already faced and beaten fringe contenders and two is a habit of being lazy and executing poor technique. Pulev has fast hands and some pop but he can get content with just headhunting and winning wide decisions. That is a bad habit that needs to be fixed. Pulev is ready for contenders. He should be fighting boxers rated in the top 10 by the alphabet orgs as soon as his management can make it happen. Mitchell is an athlete that came into the fight game late. He had to learn to use his physical gifts in the ring and after a slow period of learning he has built up some speed. He seems to get better with each outing as his footwork, timing and the crispness on his punches improve with each win. In only three years he has went from an awkward former linebacker trying to box to a legitimate prospect on the verge of contendership. He should be matched vs. fringe contenders and former champs right now. A fight with Hasim Rahman sounds about right. Helenius has a great amateur pedigree and he began to face solid competition very early in his career. He doesn’t have the best physique (he looks like a Viking version of Gerry Cooney) and he doesn’t protect his chin sometimes however stamina doesn’t seem to be an issue and getting hit on the chin is the best way to prove that you have got a good one. Helenius soaked up a few Peter bombs and ate more of Gbenga Oloukun’s punches than he should have but he recovered well. He is an improving finisher that has developed a good killer instinct to finish a bout. He is set to fight former titlist, Serhei Lyakhovich next. A Cuban amateur star based out of Ireland , Perez burst onto the heavyweight scene by dominating the British Heavyweight Prizefighter Series tournament. Winning two of his three bouts by first round stoppage Perez looks to be the fast starter the division needs. Size is not an advantage for Perez however like Boytsov he makes up for it with explosiveness and volume. 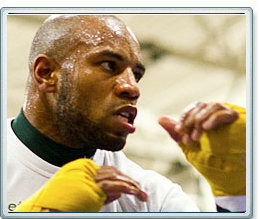 Perez is ready to fight fringe contenders and former champs. At 32 the time is now for prospect Stiverne. Fortunately for him he is getting the big push he needs in his next fight vs. perennial contender Ray Austin and it is for a WBA Silver title no less! Austin represents a big step up in class for Stiverne, who made my list for one reason, power. Although his stamina has proved to be an issue in the past he is now 10 pounds lighter and in more solid shape. He also has that one shot power that make fans gasp “Ooooooo” and “Aaaaaahhhhh”. Stiverne is limited but limited fighters with one shot power have went far in the heavyweight division in the past. First the good about Fury: his age, his size, his charisma, his heart and power. Now the bad about Fury: he almost knocked himself out with a huge uppercut that landed on his own chin. Fury is the guy that grabs headlines and he has a chance to prove his bold claims vs. fellow U.K prospect Dereck Chisora. Fury looks very ordinary most of the time and he makes this list for the same reason as Stiverne, power. I assume Fury’s power is real because besides the fact that he almost knocked himself out he has also hurt or knocked out some pretty solid journeymen. He also is not afraid to stay busy and take tough fights. 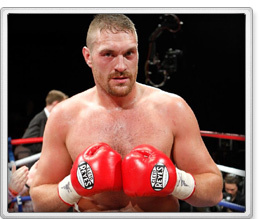 Former British amateur stand-out Price does all the work but doesn’t seem to get the headlines his louder and more charismatic fellow commonwealth prospect Tyson Fury gets. Price is the one that seems to be the better fighter of the two and the one that will most likely go further. Price has great size and finishes a fight well. He has been matched rather easily for someone with his amateur pedigree however his competition seems to be taking a sharp turn upwards as of late. Either way a fighter with his size and skill cannot be discounted. Surprise medalist in the Olympics won bronze with less than 30 amateur bouts. He is a physical specimen that does not carry an ounce of fat on his frame. Great natural talent he is still very raw and is being moved very slowly. His natural power and charisma get him on this list. He is not ready for fringe contenders but solid journeymen should be safe enough. He has proved he can come back from disaster and still win big (vs. Sconiers) however it does not bode well that the best fighter he has faced is the same guy he proved that against and that fighter is also a 20 loss journeyman. Wilder has a ways to go but if done right he can be a huge star. He should be fighting the Damon Reed’s and Gabe Brown’s of the world every month until he is ready for former titlists. Miami-based former Cuban amateur star Ortiz has been moved very quickly in his first year as a pro. That is a good thing because at his age there is no time to waste and a lot of ground to be made. Luckily for his management the division is ripe for the picking and a fighter with the talent of Ortiz can get real far, real fast if the right fights are made. So far Ortiz has feasted on solid journeymen and former contenders. He has looked lazy and uninspired at times and at other times he looks like the quick finisher the division needs. Ortiz has good speed for a man his size, I only wonder about his stamina and chin. There we go,10 heavyweight bangers to watch. They may not win any titles or even become decent contenders but I’m willing to bet they will provide excitement by way of knockout down whatever path their careers may go. Questions / comments, e-mail Kris at: krisntims@yahoo.com.